And possibilities we can't even imagine that God has in store for us. 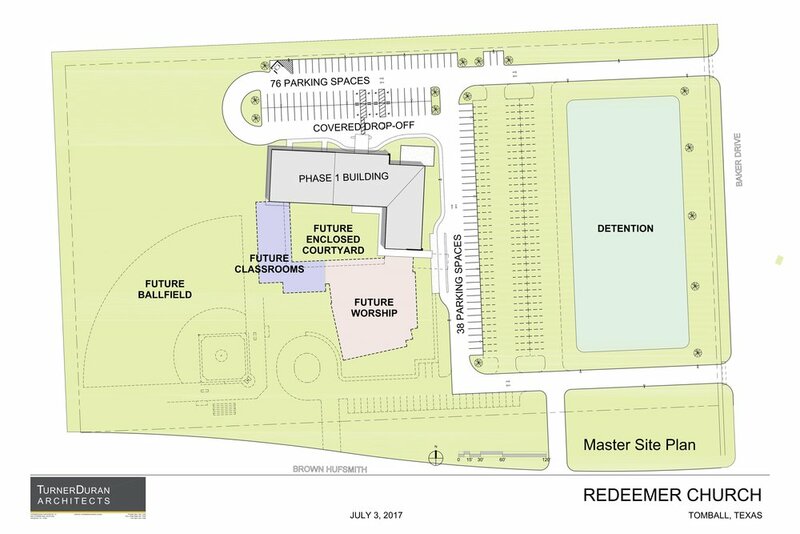 After paying off the land in October of 2017, and working with our architect to design the most affordable facility we can build to meet the needs of our church family, we've arrived at a Two Phase project. Phase One will be a 16,800 sq. ft. building of large worship space, streamlined administrative space, open and inviting children's education space, and a large multi-purpose room for our various gospel-centerd ministries. With the sale of our current property & borrowing funds, we will have around $2.5 million. We invite you to join us in the mission to make disciples and make much of Jesus. If Redeemer is your church home (or if you would like to support the campaign), we would ask that you prayerfully consider how much you and your family would be willing to give. Give on Sunday via check in the offering plate. Be sure to write land fund in the memo line. For more information about how to give (i.e. - including other donations, stock options, etc. ), you can email carolyn@makingmuchofjesus.org or call the church office at 281-374-1700. Frequently Asked Questions (FAQ) is coming soon. If you have other questions, email building@makingmuchofjesus.org to send a message to the building team and Elders.